African football legends on Friday congratulated George Weah after the ex-AC Milan superstar claimed victory as the 25th president of Liberia. The former Ballon d’or winner was on Thursday declared winner of the Liberia presidential run-off after taking 61.5 per cent of the vote from 98.1 per cent of ballots cast to beat his opponent Vice-President Joseph Boakai, who took 38.5 per cent of the vote. 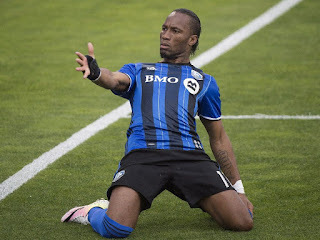 Former Chelsea striker Didier Drogba, took to Twitter to express his happiness over the election. “Thank you Mr. President,” Drogba tweeted. 94 Africa Cup of nations winner Oliseh, also felicitated with George.